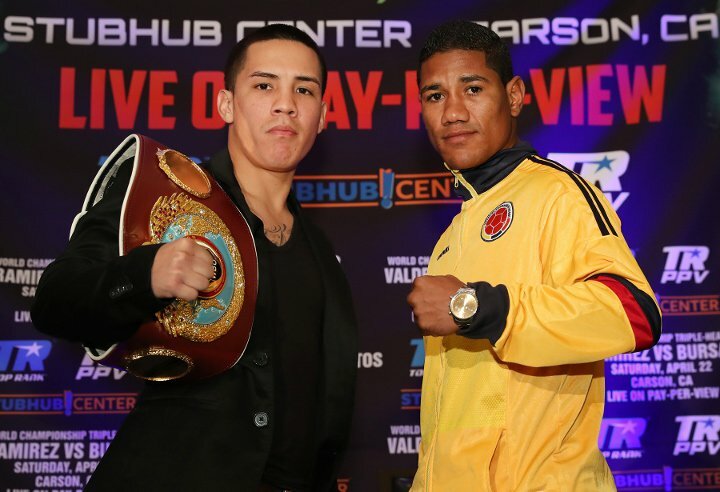 Valdez will headline the April 22 Top Rank pay-per-view at the StubHub Center when he takes on Miguel Marriaga. WBO featherweight champion Oscar Valdez will be headlining a pay-per-view for the first time in his young career. The 26-year-old Nogales, Mexico native will face No. 1 contender Miguel Marriaga at the StubHub Center in Carson, California on April 22 in a card that will feature fellow stablemates Gilberto Ramirez and Jessie Magdaleno, as well as the pro debut of newly-signed U.S. Olympic silver medalist Shakur Stevenson. Valdez (22-0, 19 KO) will be making the second defense of his title. He scored a seventh-round TKO victory over Hiroshige Osawa in November on the Pacquiao-Vargas undercard. Marriaga (25-1, 21 KO) is known as a hard puncher. 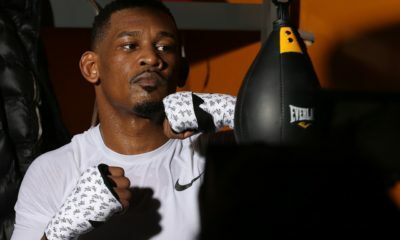 His last two fights have ended in knockout victories, including a sixth-round TKO against Top Rank prospect Guy Robb back in August. He is looking for a similar outcome against Valdez. Ramírez (34-0, 24 KO) will be making his first defense of the WBO super middleweight title against Max Bursak (33-4-1, 15 KOs); Magdaleno (24-0, 17 KO) will be making the first defense of his WBO junior featherweight title against WBO Latino champion Adeilson”Dell” Dos Santos (18-2, 14 KOs) and Stevenson will be making his professional debut in a four-round featherweight bout. The live pay-per-view telecast will begin at 9 p.m. 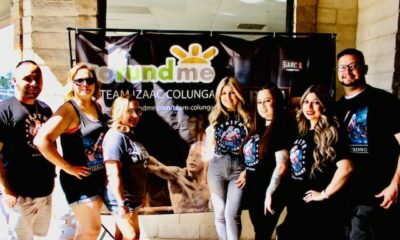 ET / 6 p.m. PT and will be available on all conventional platforms, including all major cable and satellite systems, as well as Top Rank’s digital distribution via www.TopRank.tv and mobile devices.